The Key Pieces: Am I seeing double? Thank you so much for this post! I saw these in a magazine and was like what asos?! Then couldn't find them! I agree totally similar :) Just need black now! I really love the gray version. 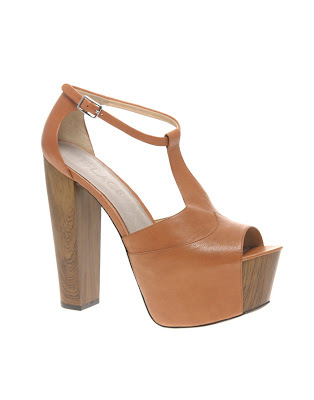 Jeffrey Campbell makes them too! His are probably the best since the platform is actually made of real wood instead of plastic. Didn't know asos was carrying them now though...wow!